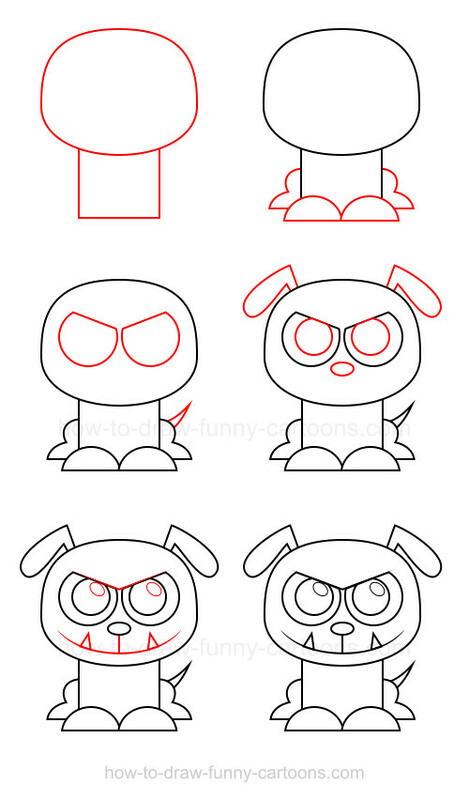 This tutorial on how to draw a bulldog is based on an adorable animal, despite its reputation! I know that bulldogs are not always appreciated, but I am sure that this one will be highly loved once you know how to draw this fun character. Great! Let's start with the addition of the head and the body. 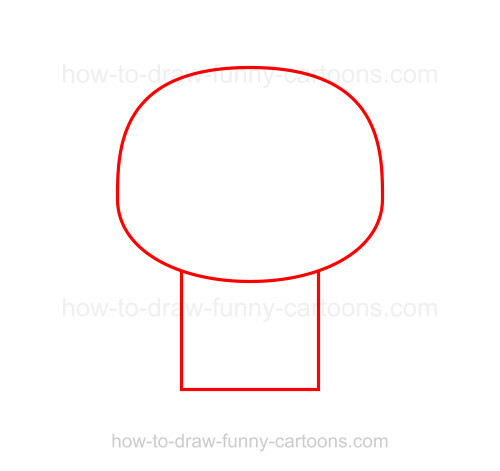 Unlike other animals from the same series, the head here is similar to a square with round corners rather than a simple circle. For the body, a simple rectangle is perfect. Remember that this is a bulldog, so we need a large body. Time to work on the paws and legs. 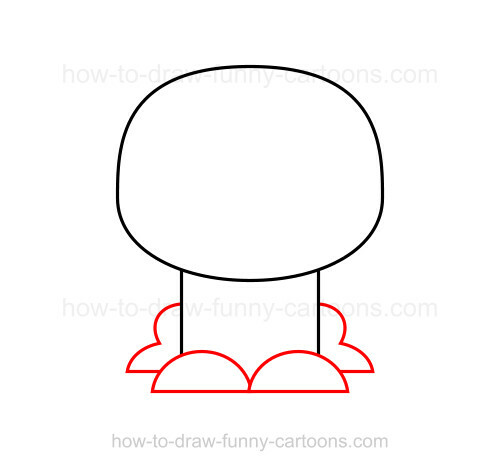 Basically, only oval shapes are required for this step. The front legs are made from oval shapes while the back legs are a little bit more complex because two shapes are needed to create each leg. Remember that since legs on the back are further, they need to be a little bit smaller. The tail can be illustrated from a small triangle. The eyes are made from two large circles. 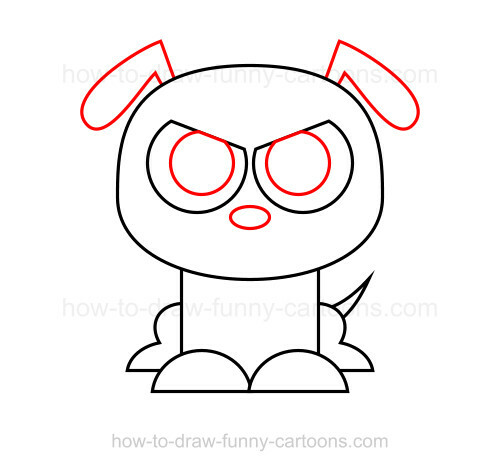 However, even if we are illustrating a cute bulldog, this one is still mad! Therefore, it could be a good idea to remove a portion of the eyes to create this particular facial expression. Nice! The ears are also a bit more complex. They are made from an oval shape that ends with a small rectangle. Pupils are also made from a circular shape while the nose can be made from a small oval shape. Finally, you can add a few lines to finish your work. 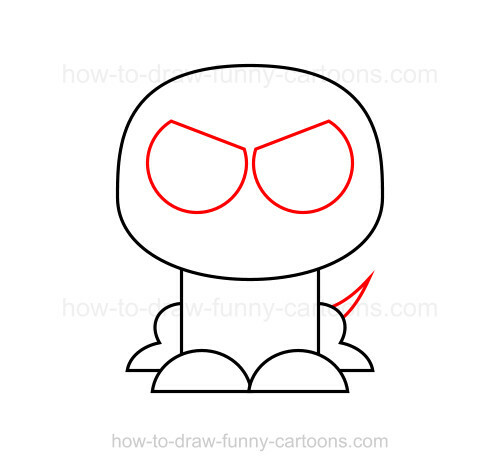 Once single line above the eyes to make the character even angrier. One long curved line to create the mouth. One simple line that must connect the mouth and the nose. You can also draw two long teeth using pointed triangles. Yes! We are now done. Learning how to draw a bulldog is now easier than ever using this lesson. Don't hesitate to add colors too. 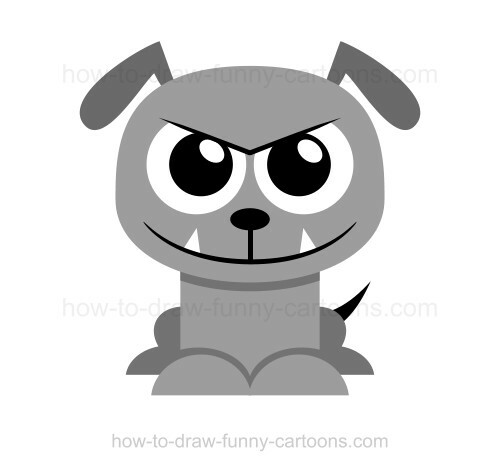 If you are having trouble with this lesson, start with another one or simply draw this bulldog until you are 100% satisfied with it. You can also use the illustration below if you prefer to see all six steps at once. Don't hesitate to try more cartoon animals from the same series and I hope you had fun working on this cute bulldog.